Happy New Year! I know I've said this a ton, but I'm so excited to see everything that 2017 has in store for me. I know that it's going to be an amazing year, and I'm going to make it the best one yet. Drink 8 glasses of water per day // When it comes to drinking water, I'm not the best at remembering to do so. I really want to focus on drinking more water, especially when I'm at school. I have several cute water bottles from Jadelynn Brooke, Swell, Lauren James, and Lilly Pulitzer, and I'm hoping that if I drink water out of those I will be more inclined to stay hydrated. Unplug from social media // I spend wayyy too much time on my phone and laptop. While a lot of my media usage is due to schoolwork and blogging, I also spend a lot of time checking social media and watching Netflix. This year, I resolve to spend less time on my phone, and fill my free time with creative projects, exercise, and time with friends and family. Grow in my faith // I really want to grow closer to the Lord this year. I want to spend more time reading the Bible, and I am going to commit to going to church more often. Kindness comes along with this resolution. The church service I saw for Christmas inspired me to be a kinder person, to be a light in the midst of the cruel darkness of this world. I hope to become an all-around better person in this year by following the Lord. Purchase a domain name // This was the only goal I had last year that I failed to complete. The only thing holding me back is my blog name. 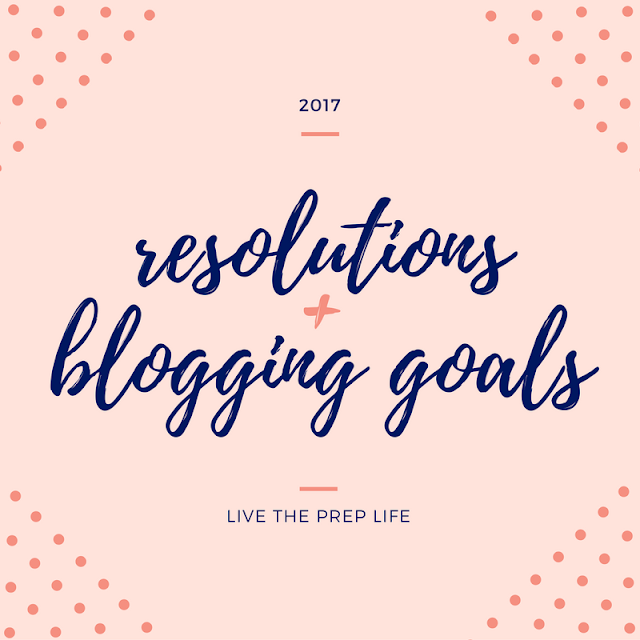 I don't want to commit to being Live The Prep Life for the next two years - a part of me wants to change my blog name into something that is broader and less restricted to doing preppy posts. I want to do lifestyle posts too, and showcase clothes that aren't necessarily preppy. Collaborate with more bloggers // I did some fun collaboration posts last year, and I hope to do even more of that in the next year. I would love to do more giveaways, collaboration blog posts, and get to know more bloggers! If you want to collaborate with me, shoot me an email at livethepreplife@gmail.com! Improve my outfit posts // I love doing outfit posts, and I want to continue to do them. However, I want to improve the photography of my outfits, as well as the general structure of my outfits. I hope to share looks that are more than just a top and jeans - I want to add accessories and scenery to make my outfit posts more interesting and unique. Reach 5k Instagram followers // I fully believe I can reach this goal. I have around 3,200 followers right now, so I know if I work hard to take high quality pictures and keep up a constant theme, I can turn this goal into a reality. I would really appreciate it if y'all would follow me @livethepreplife! I would also really appreciate it if y'all would take five minutes to take this reader survey. 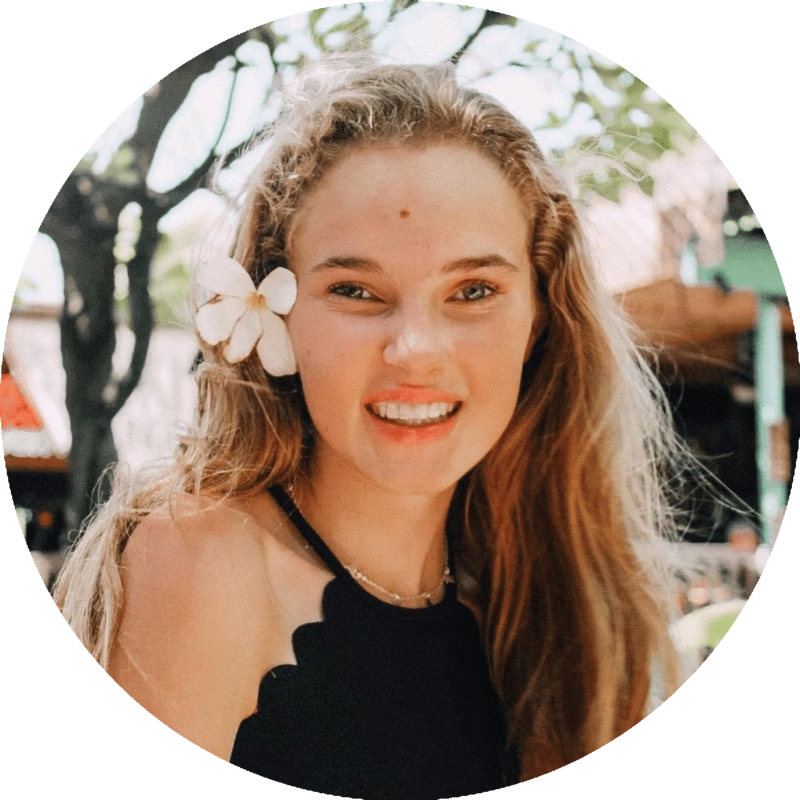 I want to make Live The Prep Life the best it can be, and I need your help to do so! What are your New Year's resolutions? Let me know by leaving a comment!